20 year old defenceman Ryan Morgan will stay with the Invicta Dynamos for a second consecutive season after the Wiltshire born blue liner penned a deal keeping him at the club for the duration of the 2018/19 campaign. Ryan Morgan rose through the junior ranks in Essex with Chelmsford before making his senior bow for the Warriors in the NIHL South Division 2 aged 16 in 2014/15. The defenceman managed 4 goals and 4 assists for 8 points from 15 games in his first term with the Warriors whilst also still featuring for the under 18s where he played an additional 17 fixtures managing 3 goals, 14 assists and so 17 points. 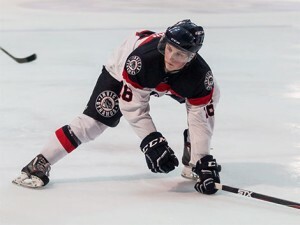 In 2015/16 Ryan Morgan then traded Essex for Ontario in Canada as he tested himself abroad with the Coldwater Falcons in the Greater Metro Junior A Hockey League (GMHL). Here the young defenceman appeared 34 times in the maroon, grey and white of the Falcons and was on target 4 times whilst playing a role in 10 more goals for a tally of 14 points. With a year across the pond on his C.V., 2016/17 then saw Morgan return to UK shores and to Chelmsford where he again featured for the Warriors in the NIHL South’s second tier, but this time also stepped up to ice for the Chieftains in Division 1. The blue liner played 13 times for the Warriors – who finished as runner-up in their league – in addition to dressing 12 times for the title winning Chieftains. When the leagues restructured ahead of 2017/18, Chelmsford withdrew from the NIHL South Division 1 but Ryan Morgan did not as he penned a deal with the Invicta Dynamos that brought him to Kent for the new campaign. Now icing in Gillingham, the skater featured 40 times across three competitions managing 8 assists and just 12 minutes of penalties in the process. In 2018/19 the blue liner will continue his career with the Mos having penned a contract that keeps him with the club for a second consecutive term. 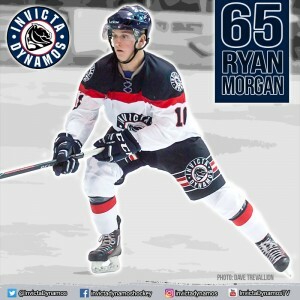 Ryan Morgan, who wore number 16 for the Dynamos in 2017/18, will don the number 65 jersey for the team when he takes to the ice this season. Warm-up Jersey – For just £125 get your name or logo printed on the back of Ryan Morgan’s warm-up jersey. Sponsors are also named on our website and in our match day programme and then presented with the jersey to keep at the end of the season. Game jerseys – For just £175 get your name or logo printed on the back of Ryan Morgan’s home or away game jerseys (including all replicas). Want both? For just £300 for individuals / £350 for businesses get your name or logo on the back of each of Ryan Morgan’s game jerseys. 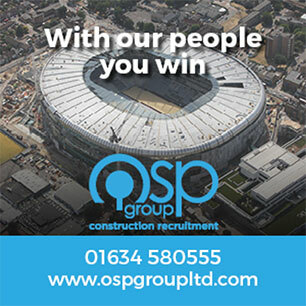 Sponsors are also named on our website and in our match day programme, are announced over the loudspeaker during player introductions at every home game, receive a programme advert (business sponsors only), get their logo placed on our official website (business sponsors only) and are presented with their jersey (one shirt) at the end of the season.